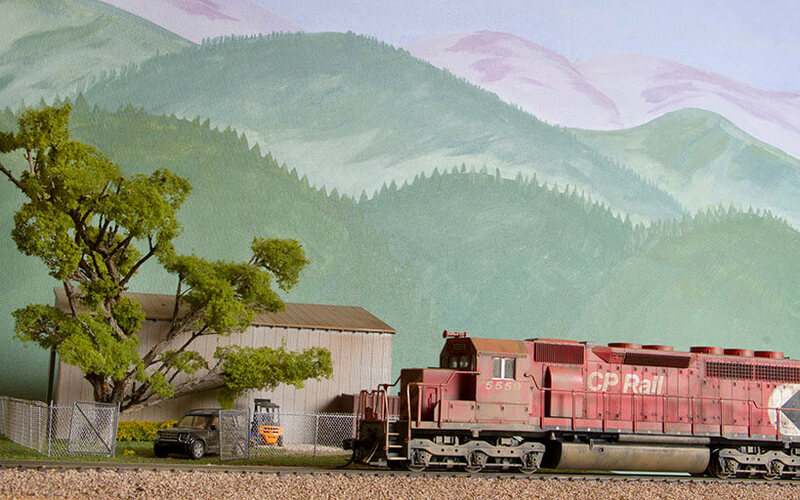 Mike Long’s freelanced On30 layout is based in the 1930s in the lowlands of the Colorado Rocky Mountains. The large layout is built on two levels with a gradual uphill climb instead of a helix. 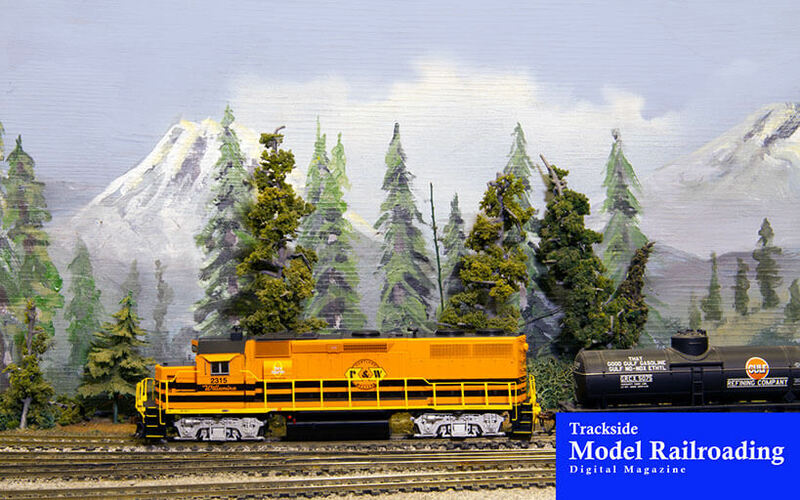 Mike enjoys operations and has included a variety of industries on the layout along with the PVRR’s main focus of hauling logs and lumber, livestock, and coal. The layout includes a logging line owned by the Thomas Brothers Lumber Company. Mike has scenicked most of the layout and is frequently altering parts of it to change operating procedures. We show photographs and video of the trains on the PVRR and have included a CTC (centralized traffic control) map in the Premium Edition for clarity. 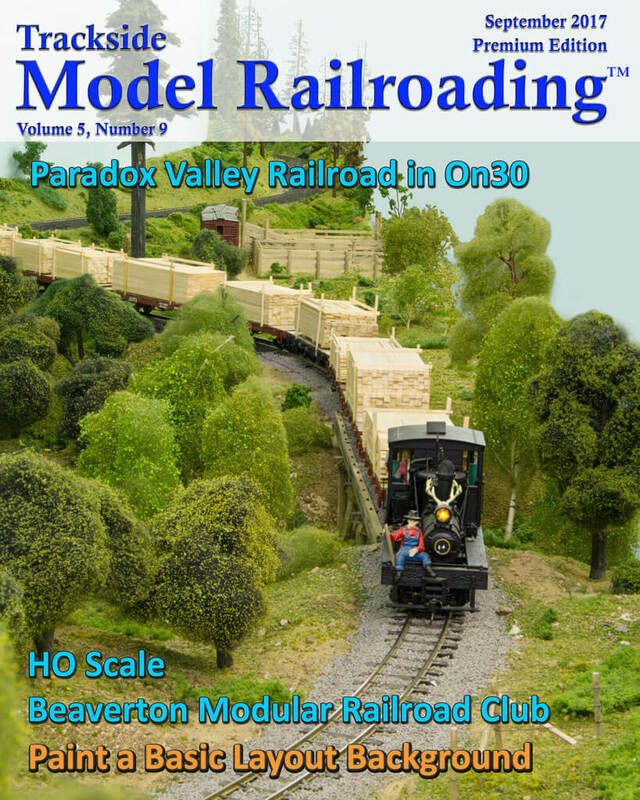 We share the Beaverton Modular Railroad Club’s portable HO scale layout this month. It is a good example of a collaborative effort, as the club members have shared the effort to build the separate modules. The layout includes a port, an industrial area, an airport, a nine-track yard, and farming areas. 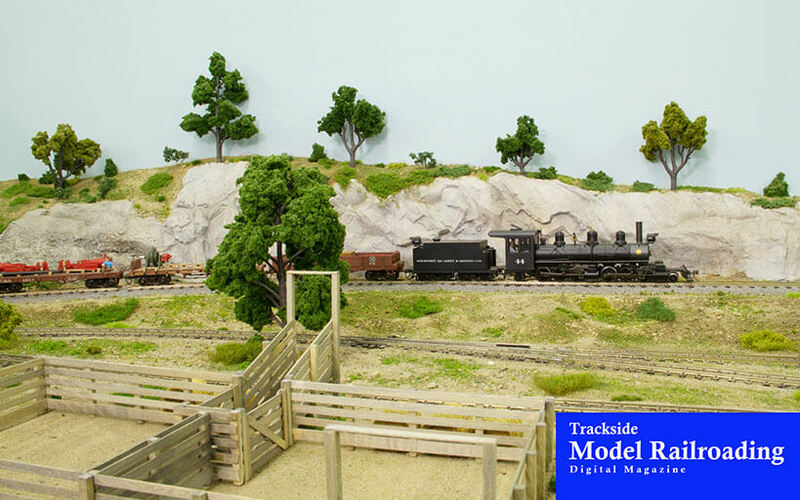 Members have built modules in different seasons and can build the layout with the seasons they wish to showcase at a particular event. Our feature includes videos and photos of the layout and some of the members’ custom-painted locomotives. The Premium Edition includes a map of this layout. Our aim with this project is to show you that you can paint your own basic layout background even if you don’t have painting experience. 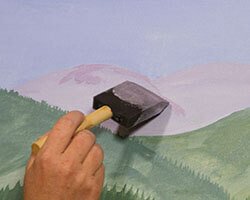 We make it easy and use inexpensive acrylic paints. If you have been thinking about trying to paint your own backdrop but feel a bit uncertain, we hope you will give it a try.